The reason why I was interested in the mentoring program because this is a great opportunity for me to improve my leadership skills, which will guide me to set a direction to help myself and others with a vision that will better society. I realized that I am fortunate to have been born in a town where I could receive quality education while some other people with same abilities, same desires, same ethic and love for the family suffer from hardship, which is according to many factors. These people need someone to understand their pain and guide them in the right direction. Therefore, I am happy to demonstrate my act of kindness and to spread hope to everyone by listening to their story and giving them advice to the best of my abilities. 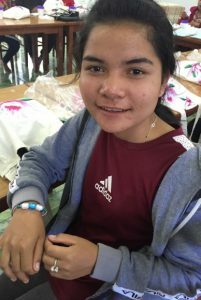 Sompong enjoys chatting to her big sister on WhatsApp because her big sister mentors her and provides her advice on some challenging issues in Sompong’s life. 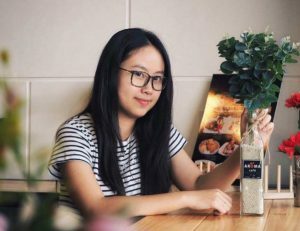 Sompong struggles with managing time in regards to her study and having contact with a big sister, who is experienced in managing time when studying, has meant that the advice she is given has been very helpful. Through the mentorship and regular contact with her big sister, Sompong has begun to understand the importance of education in securing a brighter future filled with opportunities. She has a clear clarity on her plans for the future and knows how to manage her time to achieve her goals. The big sister group meets at the AWCC and the girls are in contact with their “little sisters” at least once a week. Lotus provides each of the Grade 11 girls with 10,000 kip once a year to contact their “big sister”.